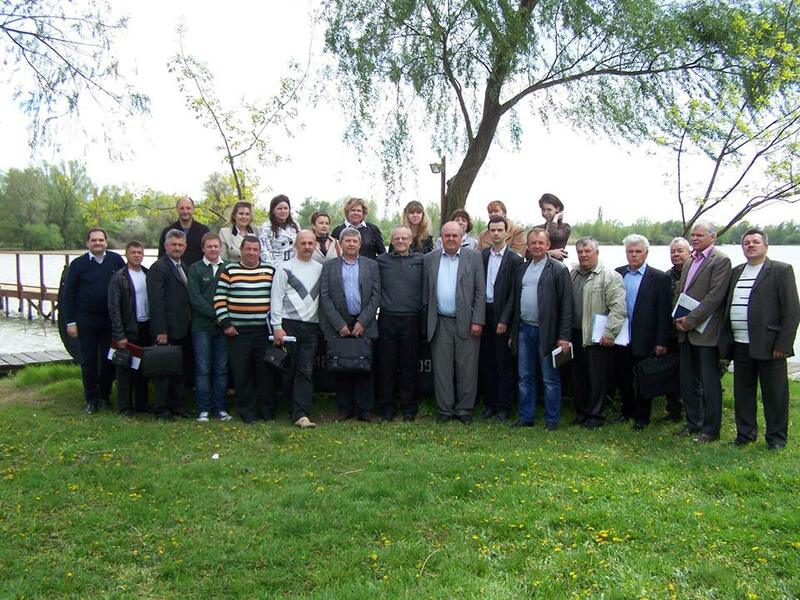 On 15-16 January 2009 the international working meeting on the harmonisation of the Ukrainian and the Romanian systems of hydro-meteorological monitoring was held in Izmail within the project "Improving cross-border cooperation in integrated management of water resources in the Lower Danube Euroregion". The meeting was arranged by the Centre for Regional Studies, the Danube River Basin Management Department and the Danube Hydrometeorological Observatory, the project partners. The meeting involved representatives of local authorities, the State Hydrometeorological Service of Ukraine, the State Committee of Ukraine for Water Management, specialists of the Odessa Regional Water Management Department, the Danube Hydrometeorological Observatory, the Danube River Basin Management Department; representatives of the Odessa Regional Emergency Management Department, the State Department for Environmental Protection in Odessa Oblast, officers of the Centre for Regional Studies; Ukrainian and Romanian representatives of the bilateral Danube Delta Biosphere Reserve, specialists of Tulcea County Water Management Department, Romania, and the Head of the Delegation of Republic of Moldova to the International Commission for the Protection of the Danube River (ICPDR). The participants discussed the issues pertaining to the creation of a joint Romanian-Ukrainian environmental monitoring data-base, specification of monitoring parameters, and methods of data exchange between the stakeholders located in the Odessa Oblast as well as on a cross-border level within the Lower Danube Euroregion. The idea of creating a joint data-base was accepted by both Ukrainian and Romania sides. The data-base will allow to improve exchange of information on the state of water resources making this more easy and quick, and will facilitate wise and science sound decision making process. The speed of data exchange is especially important in case of disastrous flood and drought as well as man-caused emergencies, e.g. accidental water pollution due to oil spill. At the first stage of the data-base creation it will contain the results of hydrometeorological and hydrochemical monitoring of the Danube water, and will be daily and monthly updated by the Ukrainian and Romanian sides. Further, it is planned to extend the data-base including results of hydrobiological monitoring. It has been agreed between the partners filling of the data-base and exchange of information will start at the end of February 2009.